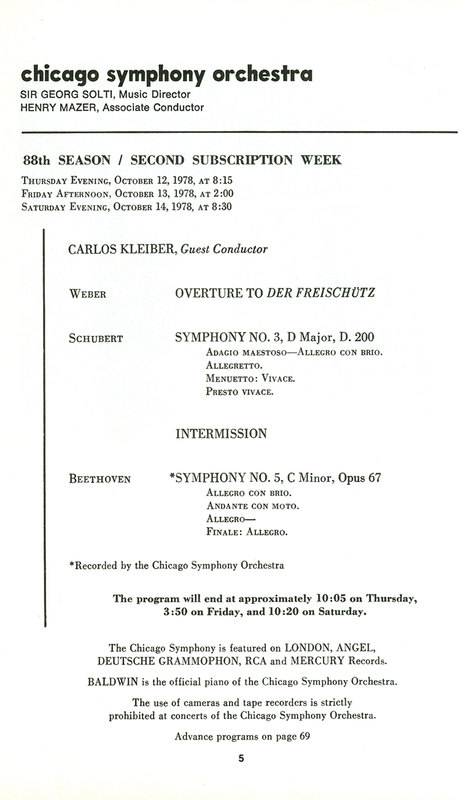 Carlos Kleiber made his U.S. debut with the Chicago Symphony Orchestra on October 12, 13, and 14, 1978, conducting Weber’s Overture to Der Freischütz, Schubert’s Third Symphony, and Beethoven’s Fifth Symphony. Are any of the Kleiber live performances available on special edition CDs? Sadly, no, due to permission issues. 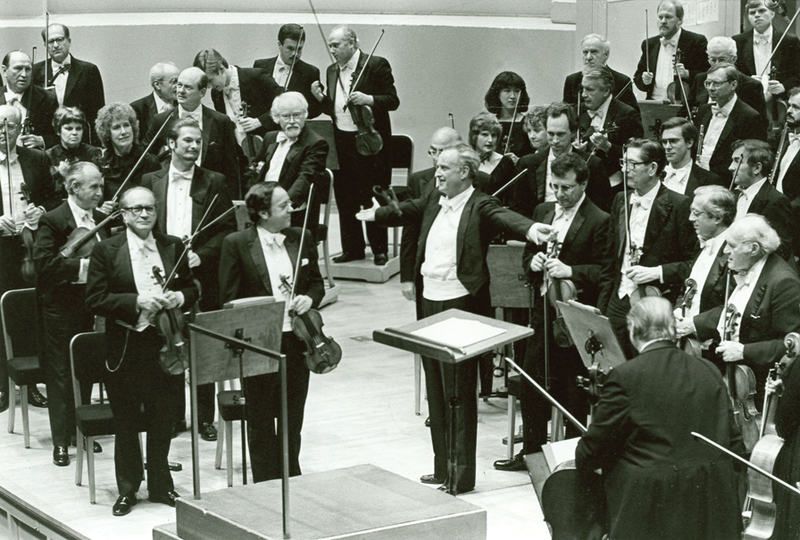 We hold the radio broadcast master of the 1978 performance here in the Archives, but Kleiber did not give permission for the 1983 concerts to be recorded. That’s very sad. I wonder if Kleiber’s son or daughter could be contacted asking for permission. I know a lot of live items have been released on the German Orfeo label, and I imagine they simply contacted his children. The conductor Charles Barber, who wrote the recently published Conversations with Carlos, might very well have a way to get in touch with them. It would make a wonderful release!